You are currently browsing the archives for the Censorship category. This article is proof that Keith Ellison hates the Constitution, especially the First Amendment. It’s also proof that he’s unfit to be Minnesota’s chief law enforcement officer, aka state Attorney General. The article notes that Ellison is “demanding that Amazon censor books and other materials produced by organizations listed by the Southern Poverty Law Center as hate groups.” That’s a frightening insight into Ellison’s thinking on multiple levels. 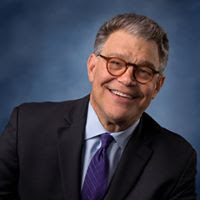 First, it’s disturbing that the man who wants to be Minnesota’s attorney general thinks that censorship is a foundational constitutional principle. Hate speech is protected by the First Amendment except if it incites violence. It doesn’t make much sense to have an attorney general who hates constitutionally protected civil rights. As stated earlier, Amazon has a strict policy against hateful and racist products on its platform. 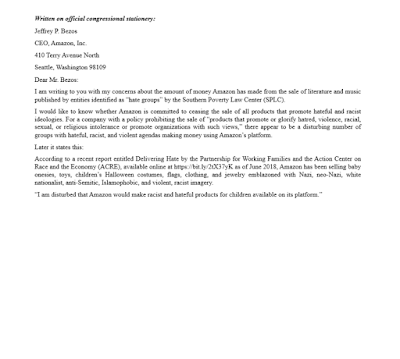 The availability of all the material listed in the aforementioned report indicates to me that either Amazon is willfully refusing to enforce its own policies against the sale of racist products or its sheer size make it impossible for the company to police itself. In either event, Amazon must immediately cease doing business with groups that promote racist violence. It’s apparent that Ellison hasn’t hesitated in using his official capabilities to intimidate companies into outright censorship. Any legal eagle that’s anti-civil rights is disqualified to be Minnesota’s attorney general. Last night, the St. Cloud City Council disgraced itself by silencing a citizen. Specifically, Councilman John Libert, who is up for re-election this year, objected to Councilman Jeff Johnson recognizing a speaker. If you read my article last night, you know that the speaker Councilman Johnson wanted to recognize is John Palmer, a retired professor at St. Cloud State. Dr. Palmer holds the title of Professor Emeritus. Recognition of Speakers: a) Any member, at a regular council meeting, including study sessions, may recognize any person, without objection, for the purpose of providing testimony or addressing the Council on a specific agenda item being considered by Council. Said recognition shall terminate upon motion passed by a majority vote of members present. Dr. Palmer had the right to “petition the Government” and address their grievances. Had this happened in August, Dr. Palmer would have had the right to address the Council, though I suspect that Council President Lewis still would have improperly shut him down. She, along with the other ostriches, haven’t hesitated in restricting citizens’ speech rights if it’s speech they don’t agree with. What’s most infuriating is the fact that the rules that were in place last night weren’t approved by the City Council nor were they voted on in this form. “I feel like justice was finally served,” said Robin Hensel, whose refusal to move her chair at a 2013 Little Falls City Council meeting was at the heart of the court’s decision. Hensel, a grandmother and peace activist who frequently protests at Camp Ripley, said she never thought she would actually get charged when she moved a folding chair to the open space between the public galley and the City Council’s dais. The Founding Fathers, aka the men who wrote the Constitution, wanted more speech, not less. They didn’t want speech being oppressed. They rebelled against that in their Declaration of Independence. When Carol Lewis and John Libert silenced a retired professor, they trampled on a citizen’s right to free speech. What’s most alarming is that they silenced a man even though they didn’t know what he was about to say. It’s time to fire these autocrats the next time they’re up for re-election. It’s time to fire them because they’re autocrats, not constitutionalists. Finally, Mayor Kleis bears some responsibility, too. As Dr. Palmer highlighted in the comments last night, Mayor Kleis didn’t fight against the constitutional missteps that happened last night. That can’t happen again. There’s never a time when the Constitution shouldn’t be defended. Last night, Mayor Kleis missed an opportunity to defend the Constitution. The lawsuit comes after Cambridge’s building inspector said there were a ‘series of anonymous complaints’ about the signs. Branden Vigneault, the inspector, said the signs were posted without permits and violated a zoning ordinance. 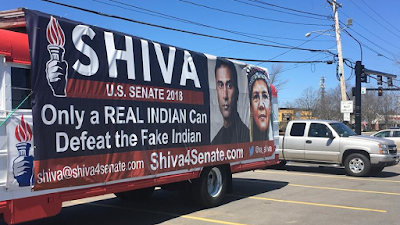 Ayyadurai faces $300 for each day the signs don’t come down as well as potential legal action. 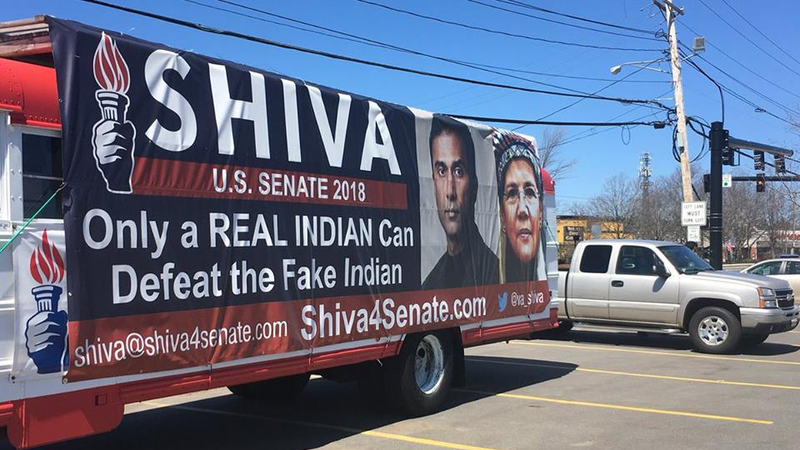 But Ayyadurai said the signs are not going anywhere and tried to make it a matter of free speech. First and foremost, the fines are likely unenforceable because they violate the First Amendment. Cities, counties and townships have been attempting to silence political speech through ordinances like this for years. The Supreme Court has consistently ruled these impediments unconstitutional because they’re thinly-veiled attempts at censorship. Elizabeth Warren frequently complains about how life is rigged against the common man. How isn’t this rigging the system against her opponent? Then again, doesn’t Warren really mean that life isn’t rigged enough to her preference? This is an attempt at censorship to save Sen. Warren some embarrassment for making dishonest statements. Pocahontas shouldn’t be protected against prior foolish decisions. New Prague High School senior Andy Dalsin held a poster during the protest which said “Gun Don’t Kill People. People Kill People.” Principal Lonnie Seifert was having none of it, however. Seifert even threatened Dalsin with being hauled away by the police if he didn’t comply. That’s an unenforceable policy because the First Amendment protects such speech. In fact, when the Supreme Court gutted McCain-Feingold, part of the reason for SCOTUS striking it down was because the bill told people when they could and couldn’t run advertising against candidates. This isn’t exactly on point but it’s close. First, who gave Principal Seifert the constitutional authority to accept or reject communications of any sort? Next, why is expressing a contrarian opinion on another of our civil rights unacceptable? Didn’t the Founding Fathers put the First Amendment into the Bill of Rights to protect contrarian communications? I’ve said this before but I’ll repeat it again — there’s no need to protect non-controversial speech because everyone agrees with it. Finally, the First Amendment implicitly states that nobody in government has the authority to accept or reject student communications. Within a few hours, the video had already been viewed nearly 300,000 times, shared over 17,000 times, and received thousands of comments from people who expressed anger and disgust over the suppression of free speech and political indoctrination at public schools. 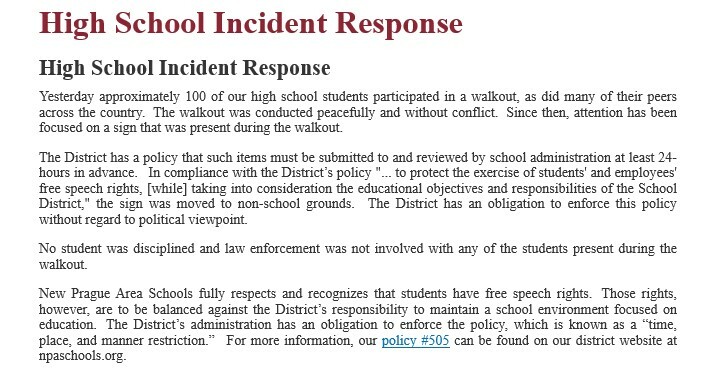 New Prague Area Schools obviously doesn’t respect students’ free speech rights because it threatened a student if he didn’t remove his sign. 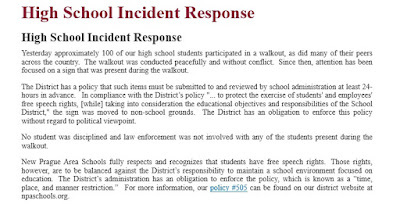 Further, a student’s First Amendment rights aren’t “balanced against the District’s responsibility to maintain a school environment focused on education.” A student’s First Amendment rights are to be balanced against the constitutional tests established by the Supreme Court. In literally hundreds of cases, the Supreme Court (and other appellate courts) have ruled against restrictions placed on people by city governments and school districts. Finally, it’s frightening that a high school principal has such a flimsy understanding of the First Amendment. The School Board should order him to take an online class on the Constitution and the Bill of Rights from Hillsdale College. Principal Seifert’s understanding of the Constitution is embarrassing. It’s been well-reported that the Edina Public Schools have implemented an indoctrination agenda. This Strib hit piece attempts to discredit those reports. Last month, some students sat in protest during the playing of taps and the national anthem in a Veterans Day assembly, the lawsuit says. 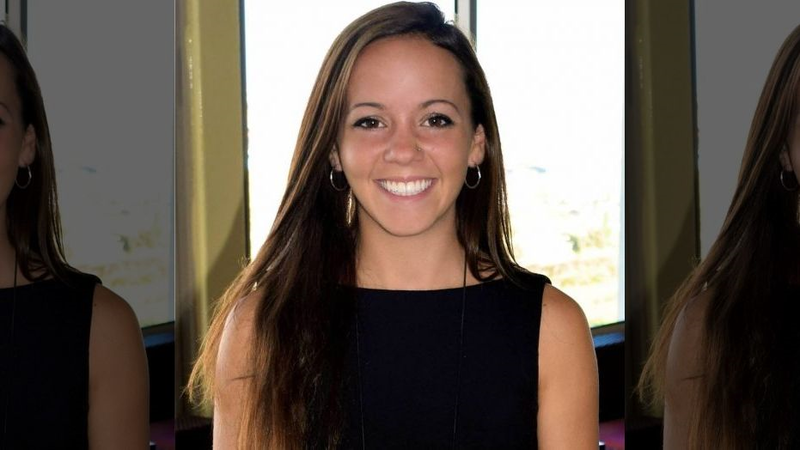 Members of the Young Conservatives Club were outraged and took to Twitter to express that, according to a statement by the students who filed suit. Members of the club also sent private chat messages among themselves that contained disparaging remarks about other students, including Somali-Americans. Those were made public in a YouTube video from an Edina High “anti-fascist” group, which demanded an apology. Afterward, school leaders revoked the Young Conservatives Club’s status as a school-sponsored organization, said attorney Erick Kaardal, who’s representing the students: Nick Spades, Elizabeth Ebner, Jazmine Edmond, Tatum Buyse and Ana Doval. I’d argue that it’s difficult to “select with great care” episodes that apparently happen with great frequency. Further, I’d love hearing the Edina Public School’s explanation for revoking the Young Conservatives Club’s status as a school-sponsored organization. BTW, that’s a lawsuit EPS will lose. The day after the election I was texting my mom to pick me up from school and she almost had to!! Every teacher was crying in class, one even told the whole class “Trump winning is worse than 9/11 and the Columbine shooting.” The amount of liberal propaganda that was pushed every single day in class this year was worse than it’s ever been–and you’re bullied by the teachers and every student if you dare speak against it. Yeah its horrible, the teachers can absolutely do whatever they want. The administration will do nothing about it!! The day of the election every single student was in the commons chanting “F*** TRUMP” and the teachers never did anything. A LOT of people are starting to complain and my mom has some friends who are leaving the school district. In talking with [my daughters], it came out that yesterday in my 10th grader’s AP World class, [the teacher] called out any Trump supporters and asked them to assure the class that they weren’t racist. Both my husband and I were aghast and we felt strongly that we should say something to you. … Yesterday’s incident in her class really surprised us as it is so completely inappropriate and unprofessional. If you talk with [the teacher] about this, please don’t mention my daughter. She doesn’t want to be identified for fear of retribution. Please take the time to watch Mr. Hinderaker’s entire presentation. I did and I’m glad I did. U of M President Eric Kaler is blatantly biased against conservatives. He’s quoted as saying “We are … mindful of the fact that he is a controversial speaker and that at several places where he’s spoken, protests have objected, and we intend to ensure the event is safe for all who attend.” That’s dizzying spin and then some. Ben Shapiro isn’t controversial to anyone that’s mainstream. Period. That President Kaler thinks he’s controversial because a bunch of left wing anarchists say he’s controversial indicates that Kaler is either an intellectual lightweight or that he’s a far left sympathizer. PS- I’m tired that academicians immediately cave the minute far left anarchists (like Antifa and Black Lives Matter) threaten to protest. The thought that Ben Shapiro is controversial is laughable. He said that in a harshly critical review in The Washington Post of a new book, “Must We Defend Nazis? : Why the First Amendment Should Not Protect Hate Speech and White Supremacy.” In that book, authors Richard Delgado and Jean Stefancic advocate what Dershowitz says amounts to a “free speech for me, but not for thee” credo favoring the left. Further, that’s a wimp’s excuse. If the U of M won’t stand up to these anarchists/rioters, they’ll continue disrupting events. They’ll keep censoring conservatives with a publicized threat. What’s required is for the U of M, starting with President Kaler, to grow a pair and stand up to these anarchists. Have lots of security for the event. If the anarchists get out of hand, arrest them and prosecute them to the maximum extent allowed. If some of them get convicted of felonies and it ruins their lives, so be it. Further, these aren’t kids. They’re adults. If they won’t act like it, put them in prison and teach them that society won’t tolerate their spoiled brat behavior. But I digress. Wittingly or unwittingly, university administrators are often complicit in the suppression of conservative speech on campus, cloaking it in a concern for public safety. The University of Washington sought to charge the College Republicans group a $17,000 security fee, but was blocked from doing so by U.S. District Court Judge Marsha Pechman, who held that such an exorbitant fee would effectively shut down the group’s free speech rights. Free speech shouldn’t cost $17,000, especially when public safety wouldn’t have been an issue at all were it not for the intolerant, violent left. Pechman, a 1999 judicial appointee of President Bill Clinton, rightly vetoed what effectively would have been a heckler’s veto. That’s fantastic. It’s time to veto the heckler’s veto. It’s time to tell these punks that they won’t get their way just because they’re threatening conservative events. The U of M (and other universities) need to grow a pair. Rather than being called the University of California-Berkeley, the school should be renamed the University of Censorship-Berkeley. This Campus Reform article highlights just how ridiculous things have gotten. That’s quite a story. The birthplace of the free speech movement now threatens people it disagrees with criminal investigations. If that doesn’t sound like the tactics of a fascist state to you, it’s time for you to hit the books. That’s definitely one of the tactics a fascist state would employ. Berkeley isn’t part of the free speech movement. They’re just another mindless liberal institution that’s been infiltrated by anti-American thinking. How the mighty have fallen. These tactics might help fire up the Democratic Party’s bi-coastal base but they won’t help flip any of the districts or states that they’ll need to retake the House, Senate or the White House. Republicans will increase their margin in the Senate, thereby marginalizing John McCain, Susan Collins, Lisa Murkowski and Rand Paul. Republicans will maintain their House majority, too. Most importantly, they’ll have net gains in terms of governorships, state legislators and total control of state governments. This isn’t because Republicans are doing a great job. I’ve repeatedly said that they aren’t. It’s because Democrats are doing a great job frightening people, either with violence or unaffordable ideas like Medicare for All. Next November, Democrats will gather somewhere to question what went wrong … again. The Media Wing of the Democratic Party won’t accept the fact that they’re hurting the Democratic Party. The Bernie Sanders/Elizabeth Warren wing of the Democratic Party won’t figure it out that their policies don’t appeal to many people. Instead, they’ll think that the enthusiasm that their supporters show are proof that they’re on the right track. They’ll be wrong … again.